Picking recommended ELISA Kits will save you time - yet all 73 products covered by our Money Back Guarantee! 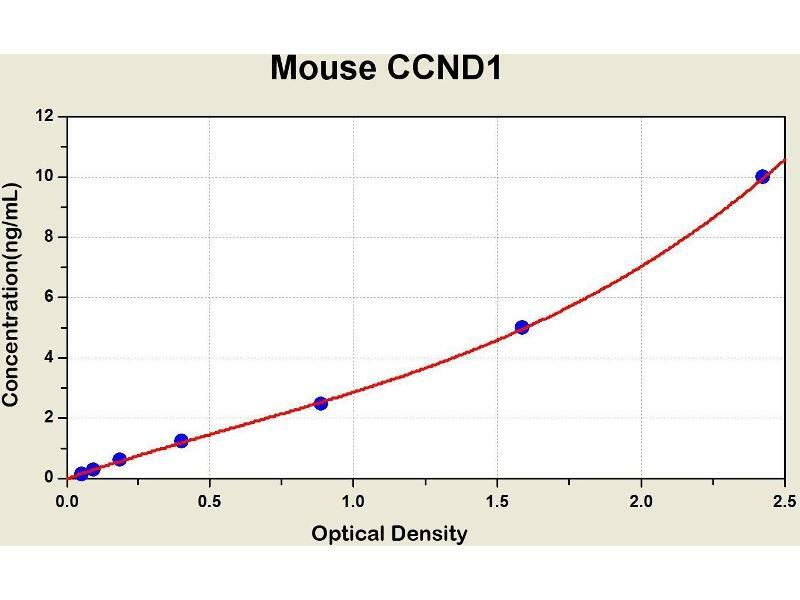 Diagramm of the ELISA kit to detect Mouse CCND1with the optical density on the x-axis and the concentration on the y-axis. 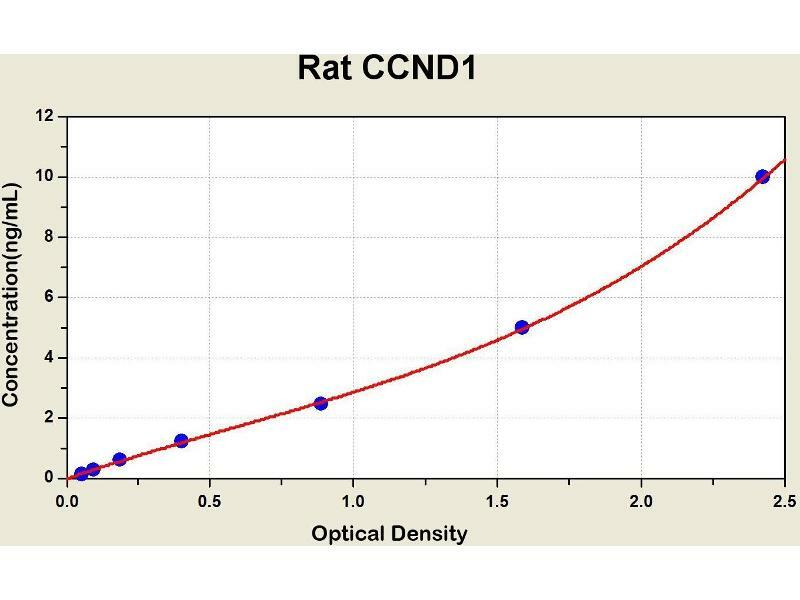 Diagramm of the ELISA kit to detect Rat CCND1with the optical density on the x-axis and the concentration on the y-axis. 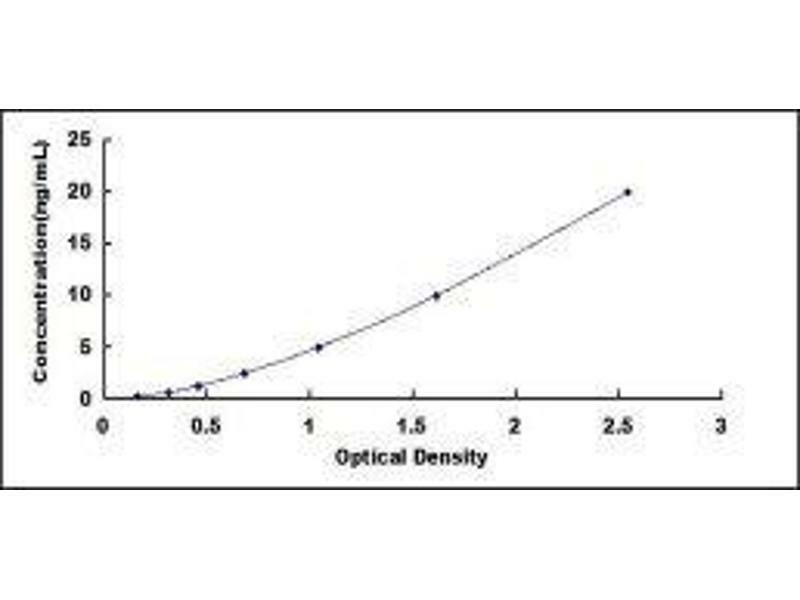 The protein encoded by this gene belongs to the highly conserved cyclin family, whose members are characterized by a dramatic periodicity in protein abundance throughout the cell cycle. Cyclins function as regulators of CDK kinases. Different cyclins exhibit distinct expression and degradation patterns which contribute to the temporal coordination of each mitotic event. 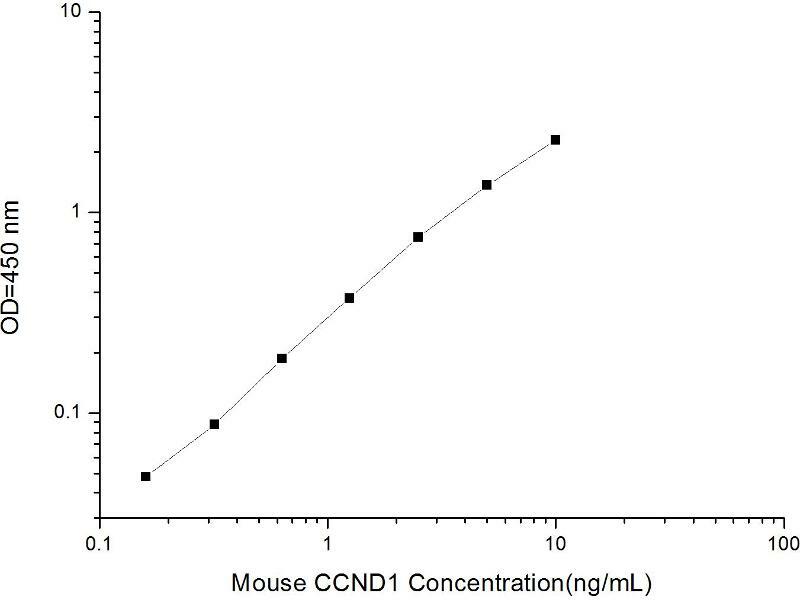 This cyclin forms a complex with and functions as a regulatory subunit of CDK4 or CDK6, whose activity is required for cell cycle G1/S transition. 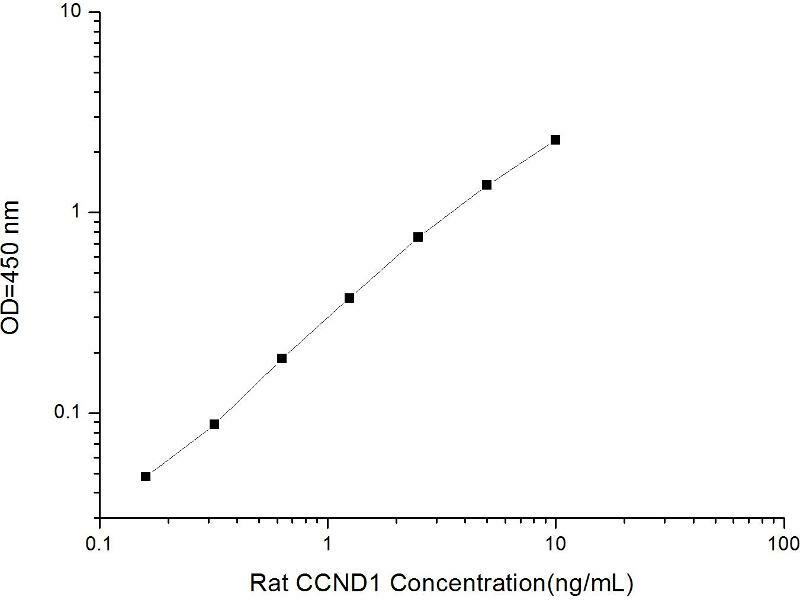 This protein has been shown to interact with tumor suppressor protein Rb and the expression of this gene is regulated positively by Rb. Mutations, amplification and overexpression of this gene, which alters cell cycle progression, are observed frequently in a variety of tumors and may contribute to tumorigenesis.